There are a number of bridge cameras on the market, with most of them having high-powered zoom lenses but standard compact-camera-sized sensors. Panasonic’s FZ range of cameras has performed well in previous tests, particularly the FZ200, but we are looking forward to testing the latest FZ72 and its 60x, 20-1200mm equivalent optical zoom lens. Similarly, the Fujifilm X-S1 has a 2/3in sensor, which is a little larger than standard, and it has a manual mechanical zoom lens. 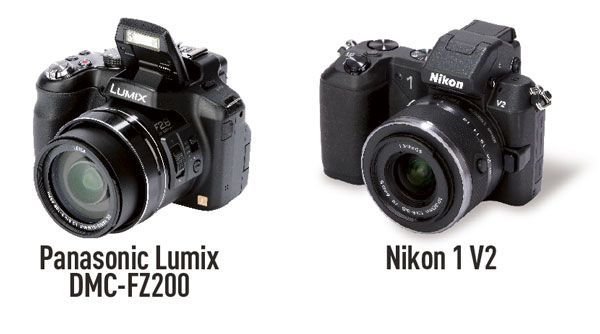 The Nikon 1 V2 should also be considered. Like the RX10, the V2 compact system camera has a 1in sensor, but with only a 14.2-million-pixel resolution. Combined with the Nikkor 10-100mm f/4.0-5.6 VR lens, it would provide a 27-270mm equivalent focal length for around the same cost as the Sony Cyber-shot DSC-RX10.